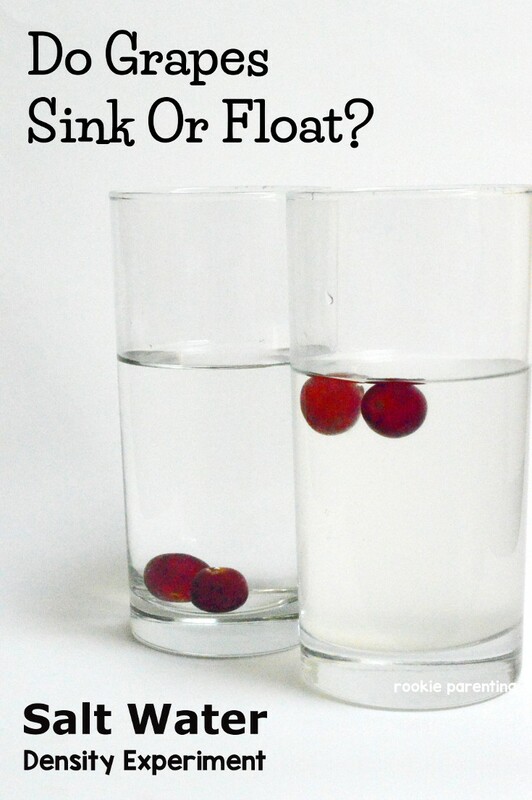 Do grapes sink or float? In the picture above, you can see that grapes can both sink and float. Why is that? What determines if an object sink or float in water? 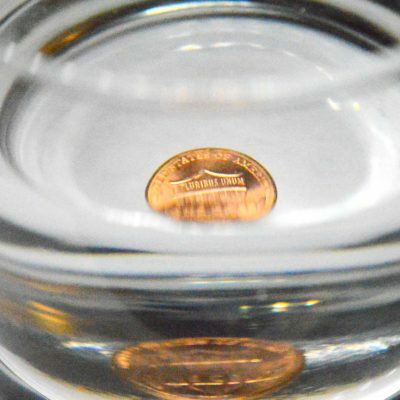 Try this experiment to learn about water density. Fill the two glasses with tap water. Put a few grapes into one of the glasses. The grapes should sink. In the other glass, add generous amount of salt and stir. Keep adding salt until no more salt can dissolve. The solution is now saturated. Put the remaining grapes into the saturated salt solution. The grapes in this glass should float. Have you ever wondered why some objects sink in water while others float? It has to do with the density of the object. Density of an object is the amount of substance (mass) within the volume occupied by the object. If two objects occupy the same volume (i.e. same size), the one with more substance is denser than the one with less substance. An object’s buoyancy is determined by its density compared with the density of the surrounding water. If an object is denser than the water, it sinks. 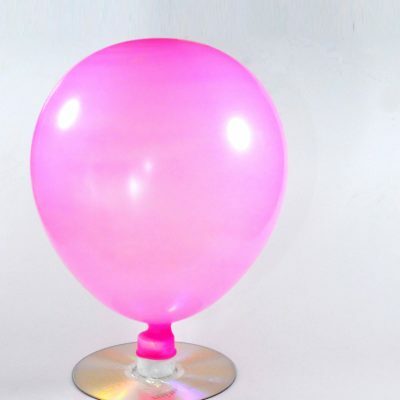 On the other hand, if an object is less dense than the water surrounding it, it floats. Grapes are denser than freshwater. That’s why they sink to the bottom when you put them in a glass of tap water. Adding salt to the water increases the mass of the water without changing the volume too much. 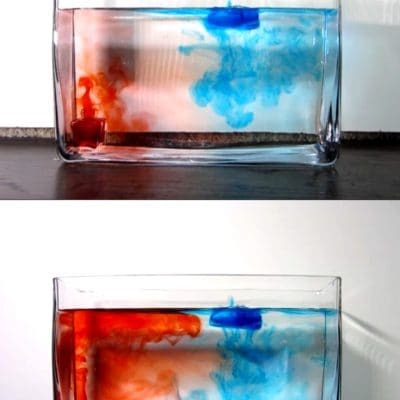 So the water becomes denser. When you add enough salt, the water can become denser than the grapes. Therefore, grapes can float in the saturated salt water. This also explains why things float more easily in the ocean. 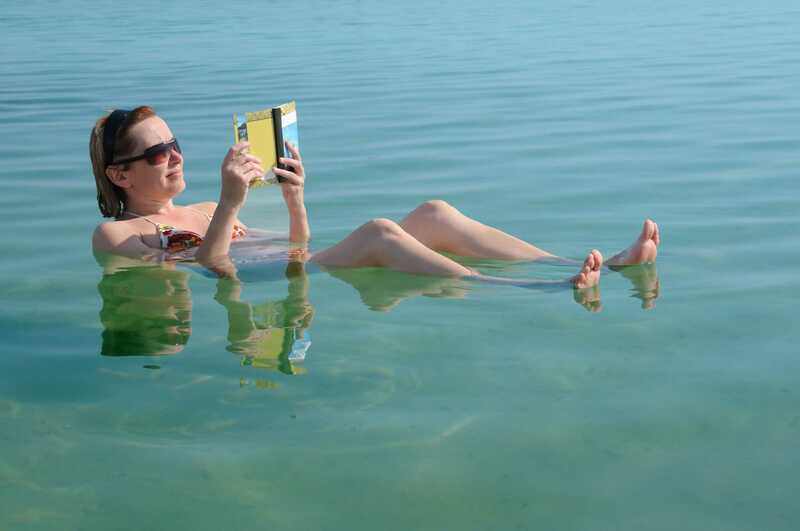 The Dead Sea is famous for its extremely high density salt water and people can easily float in it without much effort.